Paul Russell & Philip Nitscke agree that South Australian bill would legalize euthanasia. By Paul Russell, founder of HOPE Australia. Others attempts in the procession of euthanasia bills in South Australia have been modelled either to be stand alone acts in their own right or amendment bills to other statutes – but none before had taken such a direct route as to audaciously alter the criminal code. The debate in South Australia has been muddled by the protagonists’ assertion that the bill is not about euthanasia; rather, it proposes, they say, protections for doctors from prosecution in the normal course of their work. We have pointed out that doctors already enjoy the necessary protection in caring for patients by way of Sections 16 & 17 of the Consent to Medical Treatment and Palliative Care Act 1995. As others have observed, doctors have not been lobbying the government for additional protections and, even if they did, surely any changes would normally be by way of a government bill presented by the Health Minister seeking amendments to the treatment and palliative care provisions of the aforementioned act (not the Criminal Code). The Key bill, of course, is a private members bill. Let’s bell the cat: John Hill designed a bill that he thought was a better way to approach legislative change on euthanasia. Steph Key changes a few words, adds one clause (that, interestingly, is the only clause in either schema that actuallylooks like it belongs in a classic euthanasia ‘safeguards’ package) and, somehow, this is now not about euthanasia? Yesterday, Mr. Justice Baker refused to grant the application by the family of “M” to have her intentionally dehydrated to death. 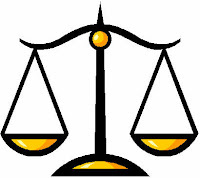 Justice Baker determined that "M" continued to have "quality of life". In the UK the Bland decision (February 1993) decided that a person who was unconscious and determined to be in a Persistent Vegetative State (PVS) could have their hydration and nutrition withdrawn with the intention of causing death. The Bland case concerned Tony Bland who experienced a profound cognitive injury in the Hillsborough disaster on April 15, 1989. 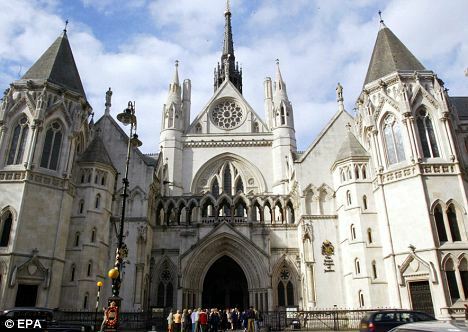 Since the Bland decision, many people in the UK who were deemed to be in a “PVS” state have been dehydrated to death, with the permission of the court. The “M case” is a different because “M” is conscious even though the court was told that her responses are minimal and unreliable. "I accept the evidence of the carers, who have far greater experience of living with M in recent years than do members of her family whose visits have become less frequent as time has gone by." "M does have positive experiences and …although her life is extremely restricted, it is not without pleasures, albeit small ones." All forms of euthanasia reduce the value of certain human beings and deny equality and dignity to every human being. To withdraw fluids and food from a person who is not otherwise dying, even if that person has a significant cognitive disability, is euthanasia because death is directly and intentionally caused by the withdrawal of basic care, that being fluids and food. Whether fluids and food are provided by a fork, a spoon or a tube, they represent a basic necessary of life that should be provided unless the person cannot assimilate or is actually nearing death. For someone who is not otherwise dying, death by dehydration results in a painful death. Whether “M” had a certain level of quality of life or not, the issue should be whether or not the decision of the court would have caused her death, rather than allow her to live until she dies a natural death. The Bland decision was wrong because it did not differentiate between the definitions of treatment and care. If the Bland decision had determined that only medical treatment could be withdrawn, but not basic care, meaning the provision of the basic necessaries of life, then a line would have been drawn that it is not acceptable for society to cause a persons death, which is different than allowing a person to die. The result of the language contortion is that people are being dehydrated to death because they are living with a cognitive disability. We applaud the decision by Justice Baker, while recognizing that until the Bland decision is redefined, that other cognitively disabled people, such as “M” will intentionally die by dehydration, even though they would not be otherwise dying. Baby Joseph was not "PVS"
On September 27, 2011, Joseph Maraachli, better known as baby Joseph, peacefully died at home with his family caring for him in Windsor Ontario Canada. Some of the articles about the baby Joseph case referred to him as being in a Persistent Vegetative State "PVS". Baby Joseph was not in a "PVS" or brain dead condition, but rather he was living with a neurological condition that resulted in him dying a natural death. 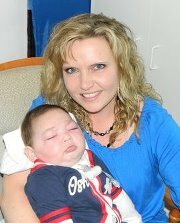 The baby Joseph case gained international attention when Children's Hospital in London Ontario decided to remove the ventilator from Joseph against his parents wishes. Moe & Sana Maraachli had accepted that Joseph would likely die of a similar neurological condition that their daughter had died from several years earlier, but they were determined to bring Joseph home where they could care for him throughout the final months of his life. The baby Joseph case affected us all. To bring Joseph home required that a Tracheotomy be done to enable Joseph to breath on his own. The doctors and the hospital refused to do a Tracheotomy and in turn brought the case to Ontario's Consent and Capacity Board who sided with the doctors. The Maraachli family appealed the decision of the Consent and Capacity Board to the Superior Court, who also sided with the doctors and the hospital. The crux of the decision was that Joseph would not recover from a "PVS" state. The term "PVS" has come to mean that there is no hope of recovery and that all medical treatment can be withdrawn. What is ridiculous about this medical terminology evolution is that people who are labeled as "PVS" are not only being denied medical treatment but also basic care, such as fluids, food, antibiotics and oxygen. Nonetheless baby Joseph was not in a "PVS" state. Soon after returning from St. Louis, I went to meet with the Maraachli family and to see Joseph. When visiting the Maraachli home in Windsor it was clear that when Joseph was held, when his back was rubbed, when he was loved and cared for, that he was reacting. Some would call these reactions "reflexes" but Joseph was not simply reacting by reflex, but rather he was reacting to touch and stimuli. No one questions that Joseph had a neurological condition, but to label baby Joseph as "PVS" is inaccurate and dehumanizing. They sang to him and played music for him. It calmed him when he was upset. He didn't like wearing socks. He fussed until someone took them off. We need to be very careful before labeling a human being. Every person deserves to be treated with equality and dignity. People with disabilities, especially those with Neurological disabilities, need to be treated with equality and dignity. Edmonton homicide cannot be an assisted suicide. 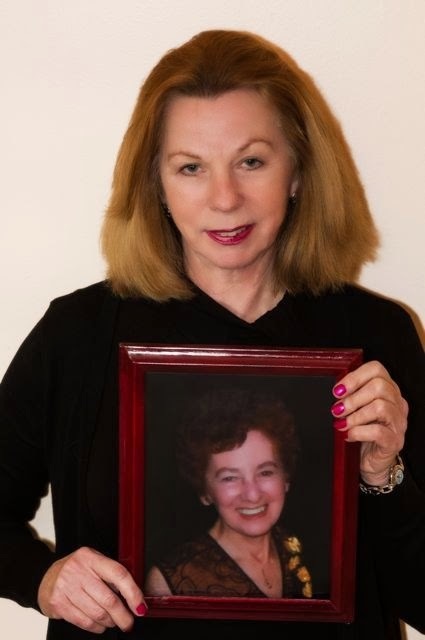 Yesterday I wrote a blog article concerning the fact that the Crown prosecutor in Edmonton had rejected a guilty plea of assisted suicide by Noel Lavery, a man who is on trial for second-degree murder in the smothering death of his wife Sherry in September, 2006. "The Crown prosecutor appears to have made the correct decision by rejecting a plea of assisted suicide. The media reports indicate that Noel Lavery smothered his wife. Assisted suicide would be the correct charge if Sherry Lavery had killed herself with the "assistance" of Noel Lavery, but since he smothered his wife the charge of second-degree murder at least reflects the fact that he caused the death of his wife." He is then transferred to a dispatch officer and again calmly said, "I have just smothered my wife. My name is Noel Lavery." Lavery bristled when the officer asks him for his personal information such as his birthdate. "What the hell does that got to do with the fact I just murdered my wife," Lavery said. A short time later the officer asked, "Is your wife still breathing?" "No," replied Lavery. "I put a pillow on her face and held it there until she stopped." When asked if his wife's death was mutual decision, Lavery responded: "We talked about it. "She told me she could not give me any promise of cure for her alcoholism," he said. "I'm her sole and only caregiver and I told her that I just couldn't do this anymore." Lavery then described what happened next. "I put a pillow over her face. She didn't feel any pain because she was chronically alcoholic and drunk. And I held it...and I held it...and I held it...until I called you." The defense is trying to prove that this is an assisted suicide case. Since the current evidence indicates that Sherry Lavery did not kill herself, therefore it cannot be a case of assisted suicide. Nitschke does not have approval to import Nembutal into Australia. In the past few days, Philip Nitschke, Australia's Dr. Death, has been claiming that he has received permission from Australia's Therapeutic Goods Administration (TGA) to import Nembutal, a drug used by veterinarians for large animal euthanasia, for human euthanasia use. Nitschke claims that he found a loophole in the TGA rules that would allow him to import the lethal drug. Paul Russell, the founder of HOPE Australia, received information from the TGA that indicated that Nitschke had not been given approval to import the lethal drug. "Nembutal is not approved for use in Australia. The Therapeutic Goods Administration said it had not given Dr Nitschke permission to prescribe the drug." At the same time, Nitschke is attempting to find a source of the drug for import. The Danish manufacturer of the lethal drug is hesitant to be connected to Nitschke and his death dealing controversy. They were also hesitant to be connected to the use of the drug for capital punishment deaths in the United States. "THE right-to-die campaigner Philip Nitschke will look to India and China to source a drug not yet approved in Australia that is used overseas to assist suicides." This has become an important issue in Australia because some of the media are reporting that Nitschke has approval to import the lethal drug while others, including HOPE are stating that he does not have permission. Meanwhile a euthanasia bill in the South Australian parliament will be voted-on today. Is Argentina discussing the legalization of euthanasia? The language of the euthanasia debate will often create confusion around what is euthanasia and what is not euthanasia. The confusion concerning the language of the debate is part of the recent debate in Argentina. 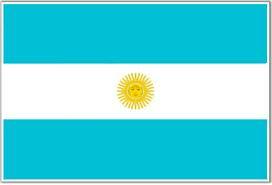 A recent news headline stated: Argentina mulls allowing euthanasia. When I linked to the full article in Spanish and then copied that text into a translator, I quickly learned that Argentina is discussing issues related to when it is acceptable to withhold or withdraw medical treatment. The issue that has created the debate is a two-year old girl who was was born "dead" and revived and has been in a non-responsive condition since birth. The article is referring to the debate to withdraw treatment as being euthanasia. Euthanasia is an action or omission of an action that directly and intentionally causes the death of a person, to eliminate suffering. Therefore, an act of euthanasia must be direct and intentional. Natural death or the withdrawal of treatment that is futile, burdensome or without benefit is not euthanasia. The proper use of large doses of pain killing drugs is not euthanasia. The proper use of sedation techniques is not euthanasia. Ethically, it is euthanasia to withdraw fluids and food from a person, who is not otherwise dying, with the intention of causing death. The person in this case intentionally dies from dehydration and not a natural death. But to withdraw medical treatment from a person and allowing them to die a natural death is not euthanasia and should not be referred to as euthanasia. The problem is that, in the past, the act of withdrawing medical treatment, even when it was futile, burdensome and without benefit, was referred to as passive euthanasia. After reading the full translated article from Argentina, it appears that they are not debating the legalization of euthanasia but rather the ethical guidelines for withdrawing life-sustaining treatment. I will require more information before further comments can be made. Article concerning the Rasouli case is based on false assumptions. The following is my response to the Toronto Star article written by Hilary Young concerning the unanimous decision by a three judge panel by the Ontario Court of Appeal. The doctors have asked the Supreme Court of Canada to hear an appeal of the Rasouli decision. The Euthanasia Prevention Coalition intervened in the Rasouli case and argued that doctors do not have the unilateral right to withdraw life-sustaining medical treatment and that the proper place to make these decisions, even though the system is not perfect, is at the Consent and Capacity Board. The Crown prosecutors in Edmonton Alberta rejected a plea bargain by Noel Lavery, to the charge of assisted suicide in the smothering death of his wife, Sherry Lavery, on September 27, 2006. The Crown prosecutor made the correct decision by rejecting a plea of assisted suicide. The media reports indicate that Noel Lavery smothered his wife. Assisted suicide would be the correct charge if Sherry Lavery had killed herself with the "assistance" of Noel Lavery, but since he smothered his wife the charge of second-degree murder reflects the fact that he appears to have caused the death of his wife. I watched an old woman die of hunger and thirst. She had Alzheimer's, this old woman, was child-like, trusting, vulnerable, with a child's delight at treats of chocolate and ice cream, and a child's fear and frustration when tired or ill. Protect yourself by purchasing the Life Protecting Power of Attorney for Personal Care. "Her eyes are opening! Oh, God. Oh, God!" "I'm here," I murmured, so the old woman would know I was keeping the promise I made to her on the first night, after her son and eldest daughter left to get some food, drink, and rest. I promised her then, "I will not leave here until you do." The old woman was fading by the fourth day. Her eldest daughter had been visiting for an hour or so each day, usually mid-morning. This daughter, a former hospital worker, lightly stroked her mother's face and hair and timed the length of her mother's "breath apnea," the length of time her mother stopped breathing. I just read the tragic story of the suicide death of 11-year-old Mitchell Wilson, who was living with Muscular Dystrophy. Mitchell was bullied and beat-up by older boys. It is tragic that Mitchell suffered so greatly by the destructive attitudes of other people who took advantage of Mitchell's disability and treated him in such a destructive manner. 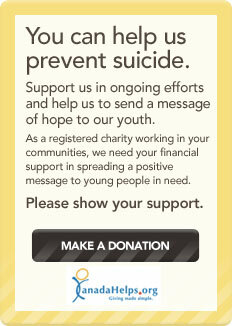 People need to know about an excellent resource that exists for people who show signs of being suicidal. Your Life Counts is a great service that cares and is truly life-affirming. We need to be aware that many people with disabilities live with bullying and descrimination on a regular basis. There will always be heartless people, but society as a whole must first recognize the existence of ingrained negative attitudes towards people with disabilities before it can assure equality and dignity for every citizen. Nitschke and Nembutal, Paul Russell responds. Paul Russell, the leader of HOPE, the group that is working to prevent euthanasia and assisted suicide in Australia, responded to an article in the Adelaide Advertiser that stated that Philip Nitschke, Australia's Dr. Death, has been given permission to import Nembutal, as a sleeping pill, knowing that the person who receives the drug intends to intentionally overdose to cause death. Russell has obtained documentation from the TGA (Therapeutic Goods Administration in Australia) that indicates that Nitschke does not have permission to import Nembutal. Link to this important article. For some time now, Philip Nitschke has been claiming that he had ‘discovered’ a ‘loophole’ in the Therapeutic Goods Administration’s (TGA) procedures and protocols that would allow him to import the drug Nembutal into Australia. The Adelaide Advertiser today (26th September) reports that, ‘…Nitschke has gained permission to import a drug used in voluntary euthanasia.’ Not so. Nor was there a ‘loophole’. The TGA has not approved the use of Nembutal by Dr Nitschke. Dr Nitschke has notified the TGA that he intends to use Nembutal for a patient under Category A of the Special Access Scheme (SAS). Category A of the SAS is intended to allow doctors to treat life-threatening diseases with medicines that may not yet have gone through formal clinical trials. Use of unregistered medicines under Category A of the SAS requires the use to be in accordance with good medical practice, but does not involve any approval process by the TGA. The conditions under which an ‘unregistered medicine’ could be used seem to indicate that Nembutal would not qualify. It is not a drug which is ‘yet (to) have gone through formal clinical trials’; it could not be construed as ‘a treatment’ in the ordinary understanding of that term, nor could it be said that prescribing Nembutal would be ‘good medical practice’ given the fact that for use as a sedative, there are any number of legally available, effective alternatives. But, of course, providing a good night’s sleep is not really what this is all about. The Advertiser article quotes Nitschke as saying: “The drugs will be provided to her (a Victor Harbor patient) with clear instructions,” he said. “ They are to help her sleep. “If she breaches those instructions she will be aware there are significant dangers." Nothing new here. All prescription drugs come with instructions and, where there are possibilities of significant side-effects – warnings. The statutory declaration seems to be something Nitschke himself cooked up as a protection mechanism. The Advertiser also says: ‘Dr Nitschke said there was not much doubt that Nembutal was the best end-of-life drug.’ Indeed. Nembutal was, at one time, used as a sedative. However, its use ceased because of inherent dangers and the high risk of addiction. It remains in use in veterinary practice to euthanase animals and its only use in humans, in places such as Switzerland and Oregon, is to kill humans. Euthanasia supporters can often be heard to say that ‘we put dogs out of their misery – why not humans?’ This implies either that we wish to treat dogs like humans or humans like dogs. Either way, Nembutal’s only use is to that end. Nitschke is kidding us to suggest otherwise. A supporter of the Euthanasia Prevention Coalition (EPC) contacted us today concerning Resolution No. 28 at the upcoming Congress of Union Retirees of Canada (CURC) conference that is being held in Port Elgin on October 12 - 14, 2011. If you are a member of CURC, you need to speak to your local representatives immediately and tell them to vote against Resolution No. 28. - CURC support legislation to permit physician-assisted suicide for consenting adults who are terminally ill.
- Because terminally ill individuals should have the right to choose how much suffering they wish to endure. - Because every individual deserves the dignity of choice. CURC is affiliated with the Canadian Labour Congress. Resolution No. 28 sets up a false paradigm. It suggests that unless assisted suicide is legalized that people are forced to suffer, that the pharmaceutical companies are part of a conspiracy to maintain the current law that protects people from assisted suicide and that assisted suicide is a choice that will create dignity for people who are dying. 1. It is possible to provide compassionate care for every Canadians. 2. The pharmaceutical industry has never been supporters of the Euthanasia Prevention Coalition or any similar groups. In fact, good care does not necessarily require a pharmaceutical solution. 3. The current law protects vulnerable people from assisted suicide, especially people with disabilities and the dependent elderly. 4. The prevention of Elder Abuse is a government priority. Legalizing assisted suicide creates new avenues for elder abuse. 5. The politics of choice is an illusion. Legalizing assisted suicide does not give an individual any new rights but rather, it gives physicians the right to knowing cause the death of their patients by lethal prescription. 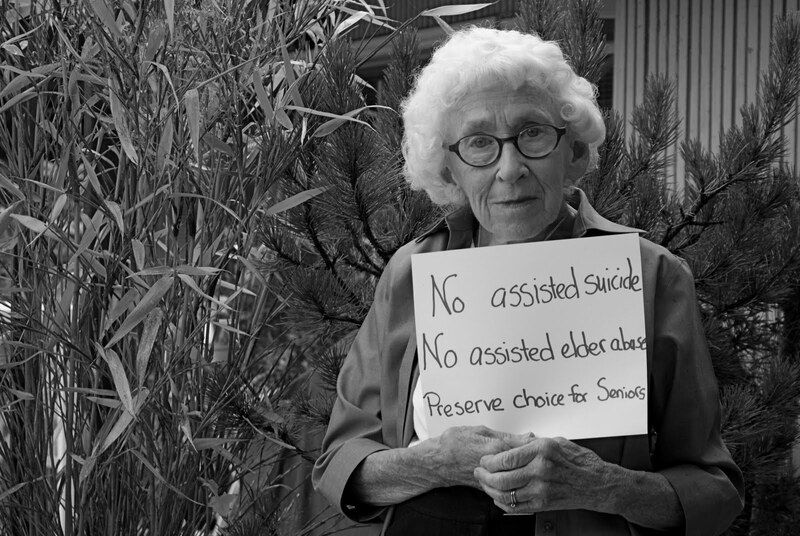 Assisted suicide does not need to be legalized in order to alleviate people's fear. Instead, CURC should be demanding that all levels of government make the provision of excellent end-of-life care and the care of people with disabilities and chronic conditions, a priority. "Winning Against Assisted Suicide in Montana"
Dignity therapy helps dying people find peace.